Welcome to C & M Builders. Based in Leeds we provide all aspects of building work including plumbing, electrics and plastering. C & M Builders is a family run business built on 28 years of experience. We listen to exactly what our clients needs are, so we can accommodate them to the best of our ability.We offer a very professional service and no jobs are too big or small, so for a free no obligation quote give us a call today on the numbers below. 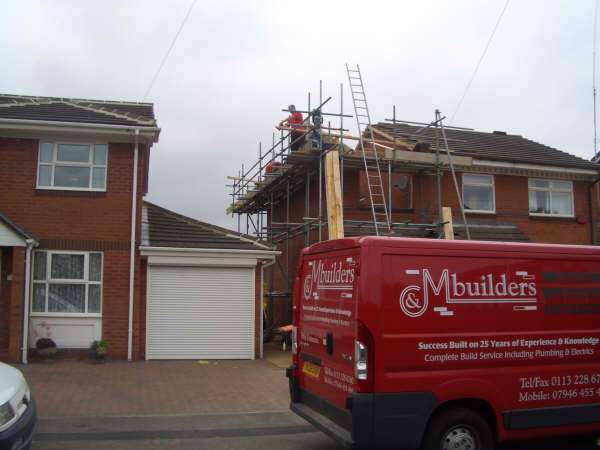 Professional and experienced builders in Leeds with no job too big or small! C & M Builders offer a very professional service with highly trained workers and all staff are time served. All estimates are very competitive and we will always do our best to match your exact requirements. All quotations are free of charge with no obligation so please give us a call and we’ll let you know the full extent of the work that needs to be carried out.